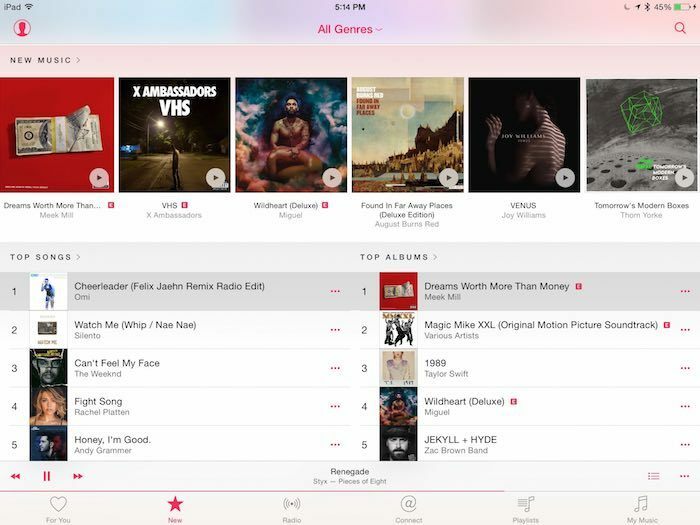 The much-anticipated Apple Music has finally made its debut. 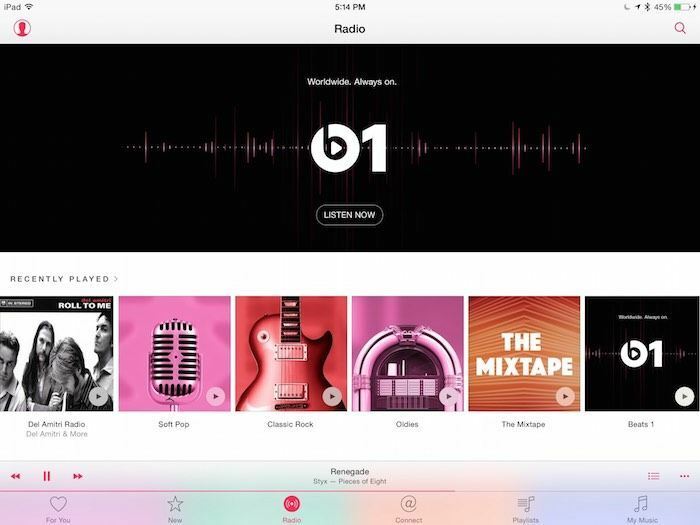 After Apple bought out Beats, it revamped its whole offering of music, not replacing iTunes, but adding to the whole experience. The result is something that offers so much it’s hard to contain it all within one review, so this will be an introduction to all the different known pieces of it, as there is so much there, there could be options I still haven’t discovered yet. Note: much of this introduction will be from the perspective of iOS, as that’s how I play my music, either from my iPad or from my iPhone. However, I have also added it to my Mac as my daughter sometimes plays her music that way, so I am including some of that experience as well. Before you start, turn on iCloud Music Library. In iOS, it’s in the Settings app under Music. On a Mac and PC, you turn it on in your iTunes Preferences. 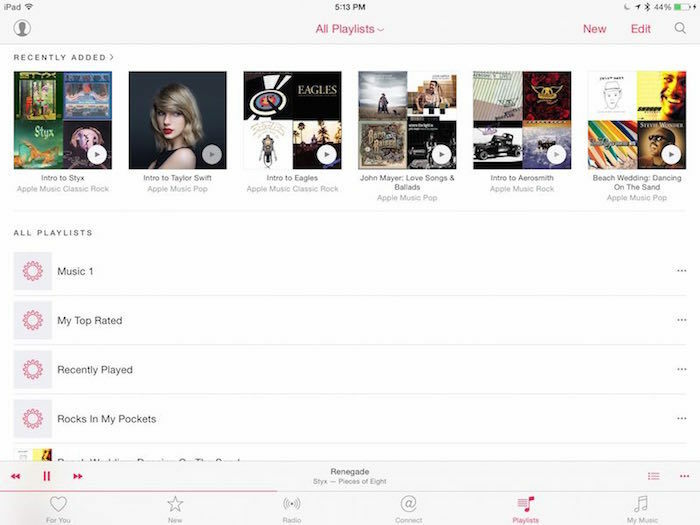 The improved Music app in iOS 8.4 incorporates Apple Music and can be added that way. Go to the Settings app where there should be an update waiting. Those using a Mac or a PC can update iTunes to version 12.2. 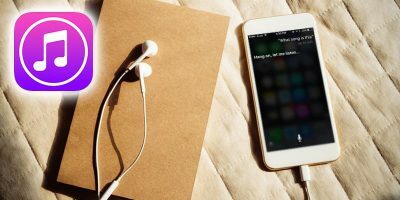 The first time you launch the Music app in iOS or iTunes on Mac or PC, you will be presented with a screen asking you to either forge ahead with the three-month free trial or to just go to your music. You want the three-month free trial. You then get to decide which plan you want after your free trial ends. You can either choose Individual for $9.99 monthly or Family for $14.99. The latter includes up to six people, and they don’t have to be using your Apple ID. You can create a “Family” in the Settings App. 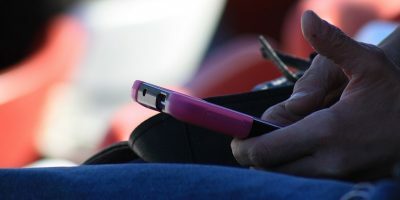 This will also allow you to share photos, location, etc. After initializing your free trial, you are shown red bubbles bumping around the screen. 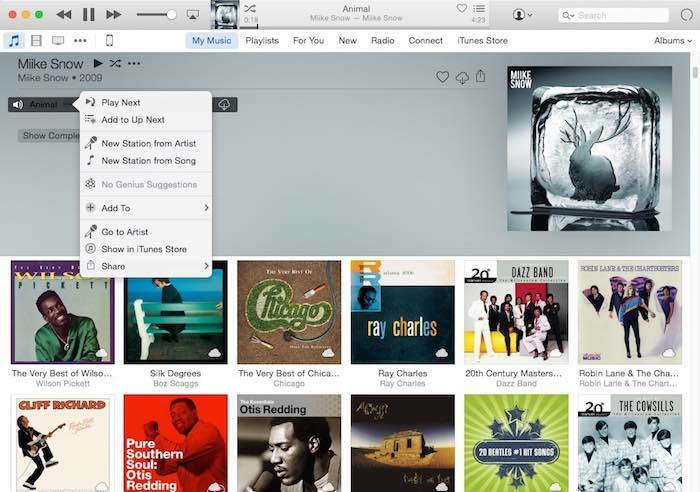 These include different genres of music and will help the app find music especially for you. Click on all of your favorites then click Next. This will take you to more bubbles; this time they contain artists from your favorite genres. Pick as many as you are interested in. To eliminate one you don’t like, hold down on the button. Once you have finished with these, you can click the button for More Artists and more bubbles will appear. You can keep doing this as many times as you want. 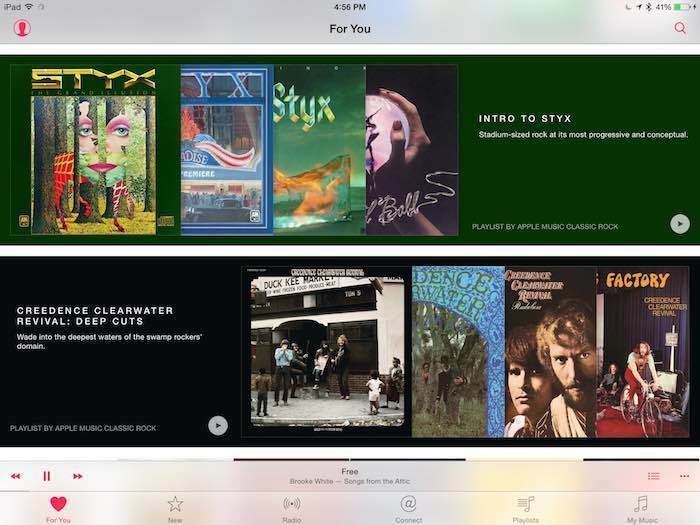 You now have an app catered around your musical tastes. Don’t worry about your iTunes Library. It’s still there in the My Music tab. Music that you have downloaded is there as well as music you have chosen to add to My Music. When you discover new music in the app, you can either just stream it then and there, or you can add it to My Music. Additionally, you can download it to your device if you want for offline listening. 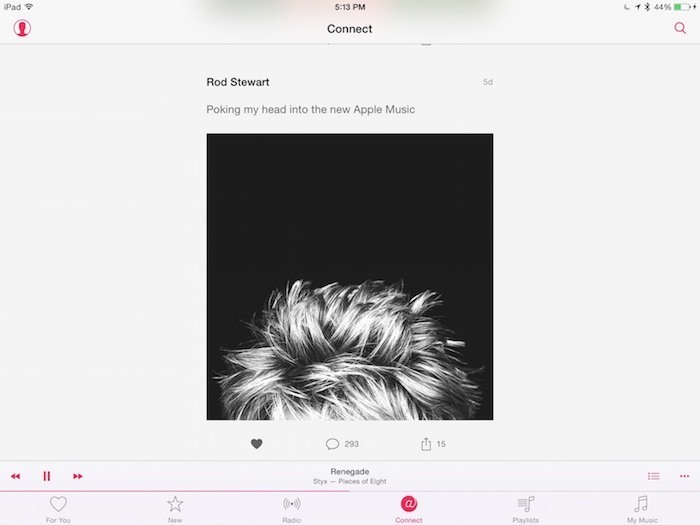 The app prepares a new library for you containing all your music that it can find in their library, comparing music with something similar to iTunes Match. I will admit, though, that I have lost some of my music through this process and iTunes Match. It seems the music I lost were ones where I had edited the song title, album name, etc. 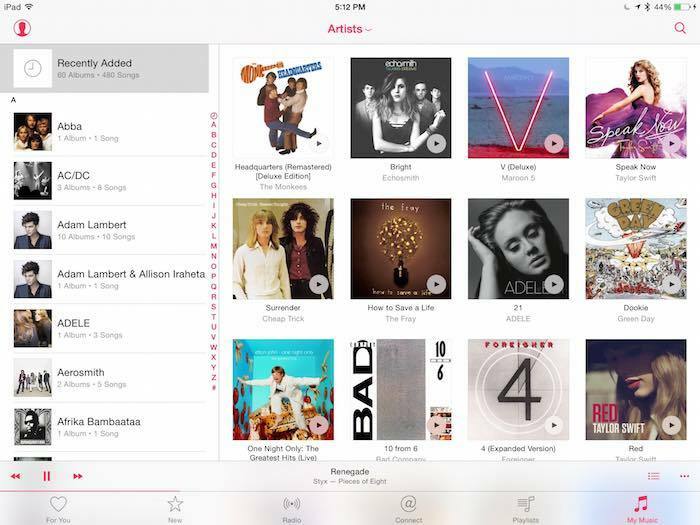 You can search for music through your choice of either the Apple Music library or your own My Music library. 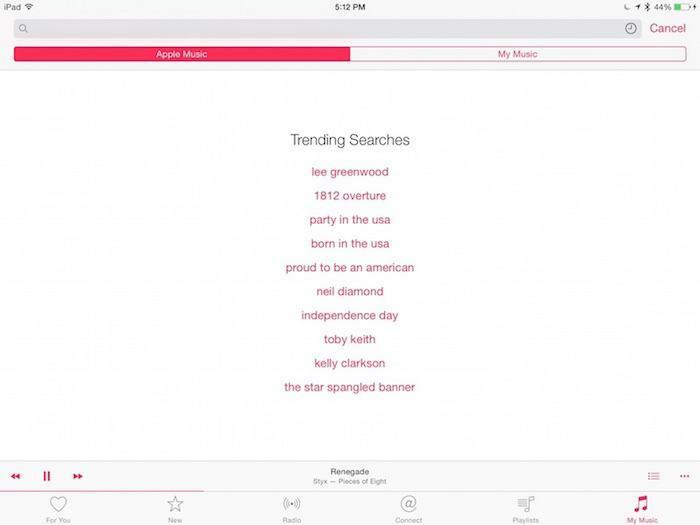 Additionally, it offers you the music searches that are trending at the current time in case you are unsure of what you are searching for. 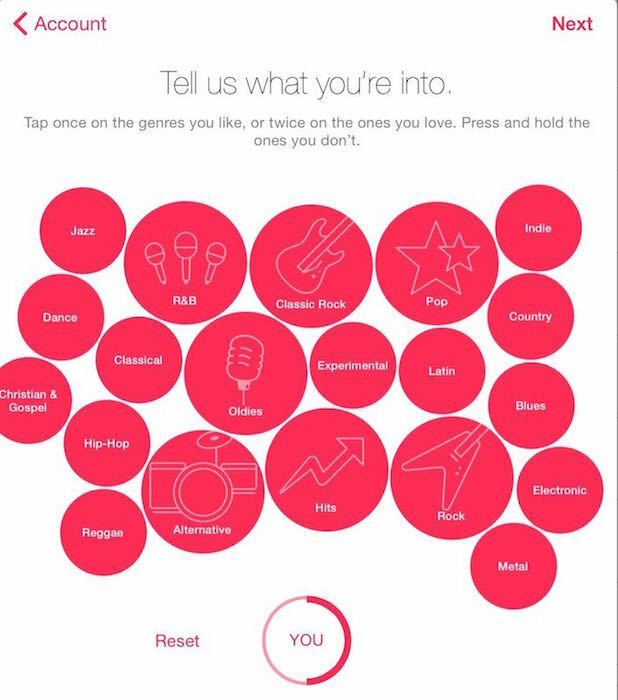 The app finds music especially for your tastes through what you chose in the bubbles earlier as well as through the music you like by pressing the Heart button. It puts music it finds for you in the For You tab. It is constantly being added to with playlists and albums. This is not to be confused with the New tab. This is where Apple Music puts up music that has been more recently released. Other than the newer music, it offers several choices here such as some playlists from the editors and the top charts. There’s another way to check out the new stuff as well. It’s through the Connect tab. Your favorite artists posts unpublished song clips, pictures, videos, lyrics, etc., to try them out on their fans. Sometimes they also post messages. It works like social media as you can post messages back to them and give them your input on their newest efforts. Radio is an interesting blend between the old Beats radio and the old iTunes Radio. It offers selected “radio” stations with programmed music in several different genres. If you are paying a monthly fee, it offers you unlimited skips through songs you don’t like. 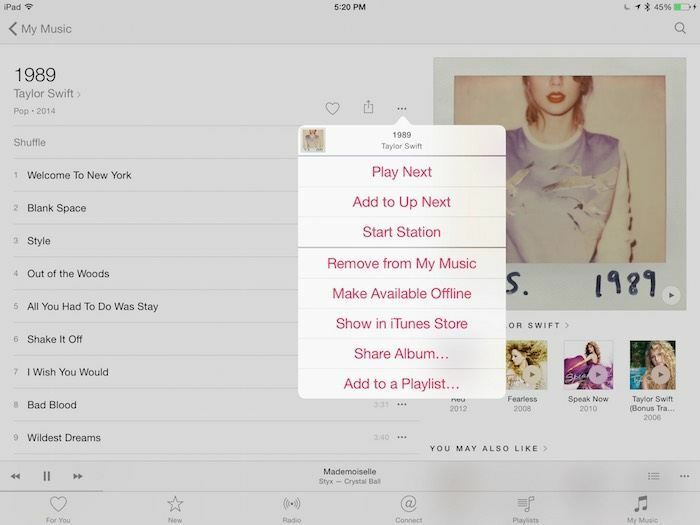 Everything about Apple Music on your Mac works just about the same as it does on iOS. It all looks a little different, but it’s basically the same service. My daughter has used Apple Music on both her iPhone and the Mac and reports that everything was synced up between the two. There are a few negatives with Apple Music. 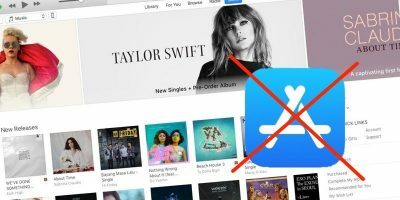 One is that if you decide later down the line that you no longer want to use the service and just want to use iTunes as the service stood before, you will lose that part of your library that has been added with Apple Music Library and wasn’t purchased the old-fashioned way. Another negative is that the only iPod Apple Music works with is the 5th generation iPod Touch. So if you’re using a different iPod, you wouldn’t be able to get your downloads synced onto it. Also, I have problems getting my libraries to sync between my iPad and my iPhone. They do eventually, but it’s anything but automatic. I normally add music via the iPad, and if I go back and try to add something via the iPhone, the library gets caught up. Also, I know Apple has been having problems with their iCloud service lately, so perhaps that bears part of the blame. Regardless, if it’s something I want to listen to, I can always just stream it again. To me, the service is worth it. Between all my family members, we spent much more than $14.99 for downloading and streaming services every month. I think Apple has done a good job at offering a complete digital music experience. There may be a few glitches, but I expect them to handle those in future updates. 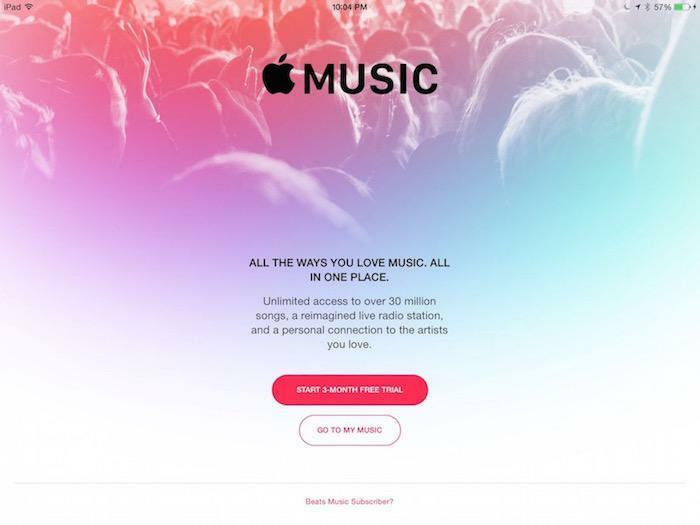 Have you tried Apple Music? What do you think of it? Let us know in the comments below.